Of all of my sale round ups, I think that this is my favorite! I went into shopping this sale with the intentions of finding products that will be less than $100 (when on sale). I thought that this would lead me with pretty slim pickings since Shopbop can lean towards a higher price range (I mean their price filter goes into the thousands!). I was so pleasantly surprised by what I found! In fact, there were so many choices that it took hours to go through! I selected the best picks and broke them up into categories below. The dress that I'm wearing in the photos is included! I genuinely want every single one of these items and may or may not have ordered too many of them! I selected items that were at least primarily in stock in all sizes. The sale ends Friday so get your fingers clicking away ASAP! You can hover your mouse over a picture below. If you click on an image, it will bring you directly to the site to purchase. Shipping and returns are always free on Shopbop and they give you the prepaid return label as a sticker in the box (my favorite)! 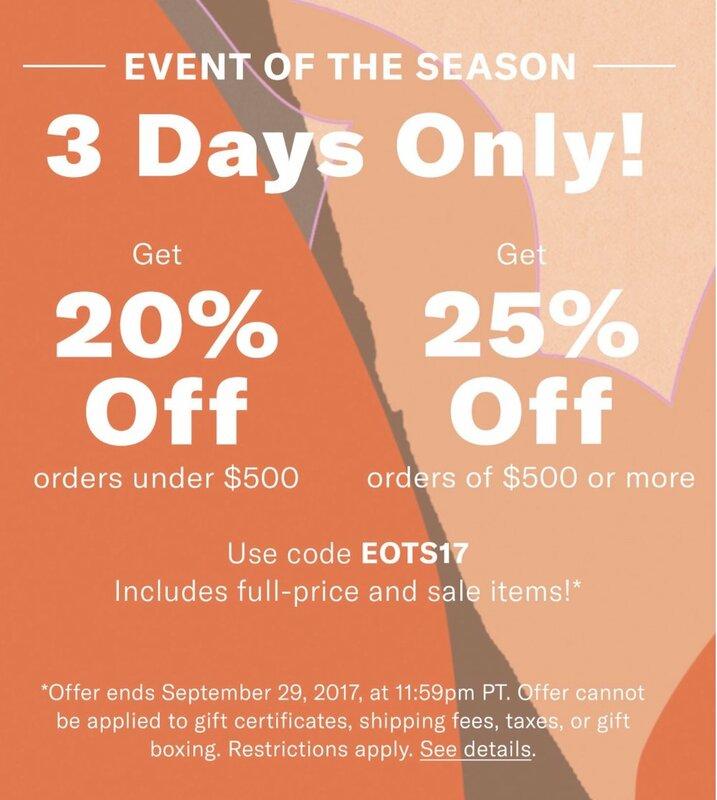 USE THE CODE EOTS17 AT CHECKOUT.